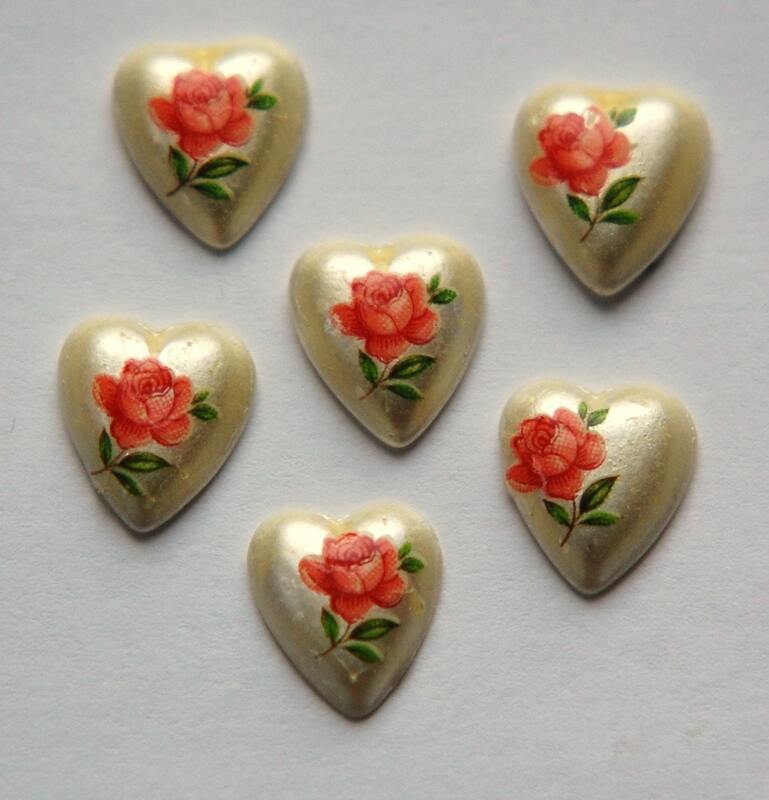 These are sweet vintage heart shaped cabochons that were made in Japan. They have a pink rose on a pearly white base. These measure 12mm x 10mm. You will receive 6 of these. Beautiful items. Thank you! I will order again. excellent quality, very fast shipping, great vendor!